I am Jordan, I’m 29 and my wife Brooke is 32. 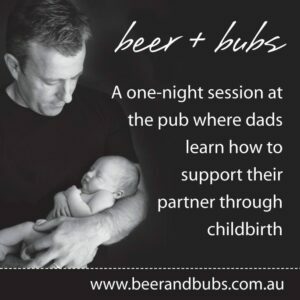 We have just had our little boy Leo born in March 2014, and this is our birth story. We’ve both been around children a lot in our lives. Brooke has had lots of experience with babysitting, and my older sister has 4 children ranging from 7 to 14 so we were both ready for the challenge that lay ahead. That said; neither of us had ever been solely responsible for a brand new baby, so it was still a bit unnerving! Brooke didn’t want to attend any of the pre-natal classes but after some coercing we booked into the one provided by the hospital. 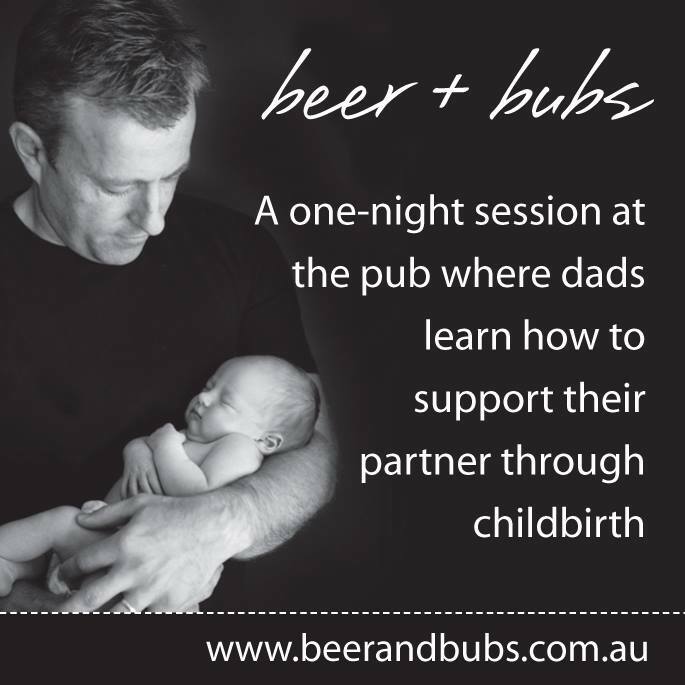 The weekend prior to that was when I attended the Beer+Bubs session in Brunswick, which was fantastic. I think these sessions were invaluable to my preparation for the day. Even something as small as clarifying the terminology that the midwives use prior to being there was extremely helpful! Brooke was diagnosed with gestational thrombocytopenia quite early in the pregnancy. This condition caused her to have a lower than normal platelet level. The worry was that if she started to bleed, the blood wouldn’t clot as easily and may cause further complications. Because of this, the obstetrician placed Brooke on a dosage of steroids for the week prior to her due date. This increased her platelet level and allowed her to have a scheduled induction on the morning of her due date. We were both hoping that she would go into labour prior to this happening but no avail, we found ourselves wandering up the road to the hospital on the morning. Brooke’s obstetrician broke her waters at around 9am, and she proceeded to be in an induced labour for the next 7 hours. They pumped her full of Syntocinon (the synthetic form of Oxytocin) to get this process going, and continuously increased the dosage to try to get things moving. 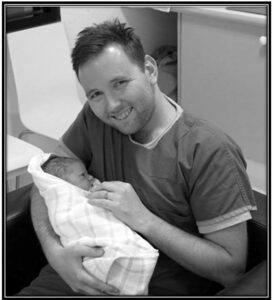 By 4.30pm, the midwives were concerned that she was not progressing, and that the baby’s heart rate was dipping, so the obstetrician was called back in. At that point the call was made to go for an emergency caesarian. The combination of the gestational thrombocytopenia, lack of progress and heart rate was enough to make us agree. By 5pm we were both prepped for theatre. The anesthetist came to ask us two questions, what music we would like playing, and what footy team we support! Brooke had no idea what she wanted so I suggested “anything by Otis Redding”, and “Richmond”. At 5.35pm Brooke and I were in theatre together. The combination of the recent epidural and the temperature of theatre were causing Brooke to shake uncontrollably. It was then my turn to use my calm voice to help her breathe and focus. The next 10 minutes flew by. ‘Sitting on the dock of the bay’ played in the background with doctors furiously prodding and tugging on the other side of the curtain. Then all of a sudden the anaesthetist asked me to stand and watch. The last 12 weeks with him have been an amazing journey. I’m glad for the preparation that I had, and I wouldn’t have changed any of it. Leo is the happiest, most joyful little man and we both love him dearly and look forward to the next stage of our lives together.